Audi is celebrating a special milestone with the production of its 8 millionth vehicle equipped with quattro drive. 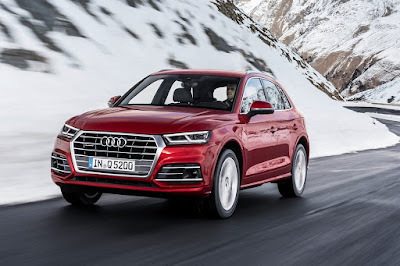 Fittingly, the milestone car is a garnet red Audi Q5 2.0 TFSI quattro that rolled off the production line at the company’s new plant in San José Chiapa. Having made its debut in 1980, quattro delivers a big boost in driver safety and pleasure in all weather and road conditions. Today, it’s available in more than 100 models. Quattro all-wheel drive is standard on models such as the Q7, A4 allroad quattro, A6 allroad quattro, A8, R8, and all S and RS models. It’s also available as an option in other model series. 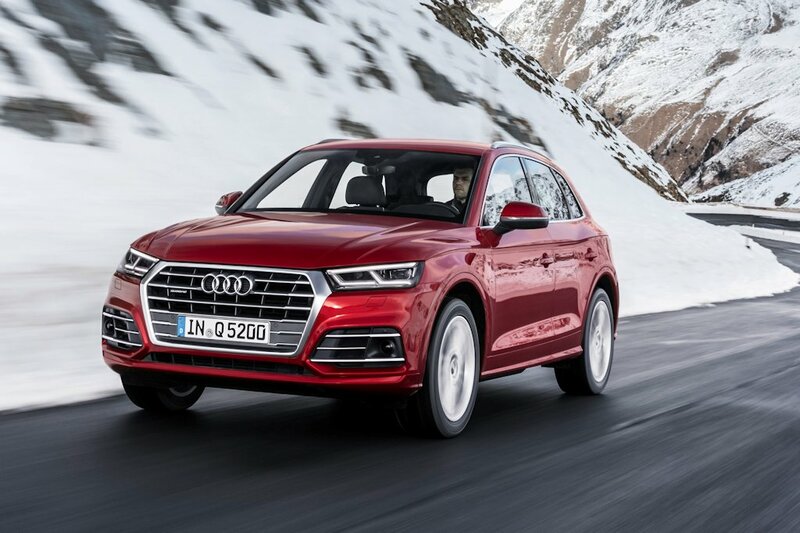 In 2015, 44 percent of Audi customers worldwide chose models equipped with quattro with the Q5 topping the list with 262,000 units sold. The quattro is particularly strong in the United States, Canada, Russia, and markets of the Middle East. In Audi’s home country, Germany, it totaled 122,048 sold. The Audi quattro is tailored to each model. For the compact model series with transverse-mounted engines, an electronically controlled hydraulic multi-plate clutch is mounted at the rear axle. 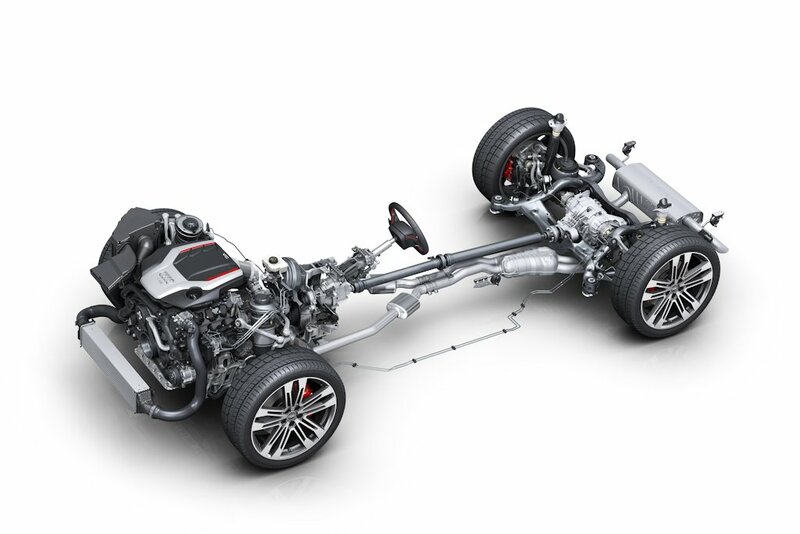 On the R8 mid-engine sports car, the multi-plate clutch is at the front axle. According to the driving situation encountered, these active systems distribute drive torque variably to both axles. The self-locking center differential used in many Audi models, with a longitudinally mounted front engine, is a purely mechanical planetary gear. Normally it splits the drive torque sent to the front and rear wheels with a 40/60 front/back distribution. Sport differential is available on the rear axle with some of the top-of-the-range engines. It actively distributes the torque between the rear wheels by means of two superposition units, each with an electrohydraulic multi-plate clutch. In extreme cases, almost all of the torque is sent to one wheel – the system actually pushes the car into the curve, eliminating any chance of understeer. The latest phase of development from Audi is the quattro drive with ultra technology. It is likewise designed for models with a longitudinally positioned engine. Here, an actively controlled multi-plate clutch at the end of the transmission distributes the torque variably between the drive axles in all-wheel drive operation. A decoupler in the rear axle differential can additionally open the connection to the rear wheels. Both clutches are opened in driving situations where the all-wheel drive doesn’t offer any advantage. This way, the parts of the rear drivetrain responsible for drag are not engaged. The system's control unit uses a multitude of data to produce a model of the vehicle's status projecting about half a second into the future. If the system detects, for instance, that the inside wheel is about to lose grip, it switches predictively to all-wheel drive. As a result, the all-wheel drive is always ready when it is needed. The new concept considerably boosts efficiency without diminishing traction or driving dynamics. Audi achieved a milestone in automotive history with the quattro permanent all-wheel drive. In 1980, no other manufacturer offered a fast-running and light all-wheel drive for high-volume production. The technology premiered in 1980 in the Ur-quattro at the Geneva International Motor Show. In 1986 Audi replaced the first generation's manually locking center differential with the Torsen differential, which could variably distribute drive torque. The planetary drive followed in 2005, with its asymmetrical, dynamic distribution of power and torque. The self-locking center differential is continuously being further developed by Audi and is considered the benchmark for traction and driving dynamics combined with very light weight. Audi has also celebrated many triumphs in motorsport with quattro technology. The list so far includes four World Rally Championship titles, six victories in the famous Pikes Peak Hill Climb race in the United States, a title win in the TransAm series in the US., two DTM titles, 11 national Super Touring Car Championships, and a Touring Car World Cup. The latest victory for quattro technology: In late November, Mattias Ekström and his private rallycross team EKS captured the Driver World Champion and Team World Champion titles with the Audi S1 EKS RX quattro in the FIA World Rallycross Championship.